Comic book movies have been around for well over half a century. However, one could argue that these films have only recently hit their stride. A glance at boxofficemojo.com tells us that the Iron Man 3 earned nearly $200 million within just a few days of opening. 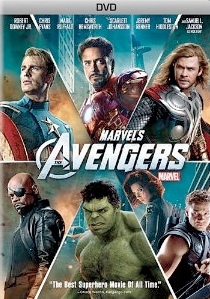 The Avengers brought in a bit more at opening, and went on to earn over $600 million in the year following its release. The darker, more violent V for Vendetta managed to make just over $70 million. Its follow up movie, Watchmen, received about $107 million. Why Are Comic Book Movies So Hot? Part of the lesson for the studios here would seem to be that PG-13 has exponentially more potential than R.
Within the PG-13 threshold, relatively darker titles such as X-Men Origins: Wolverine ($180 million) seemingly have greater potential than lighter, more juvenile takes on the genre such as Fantastic Four ($132 million), or the Hulk movies ($132 and $134 million). Adding a darker tone to the Spider-Man franchise with the help of a horror director certainly did the trick, with over $400 million for the first installment of that trilogy. In any case, the comic book film is an incredibly popular genre, and a cash cow for studios. The insane amounts of box office money possible for high-budget comic book films is unlike anything seen before. Part of this simply must be due to increased special effects potential (3D, high definition, and CGI, especially). Another part is the extent to which 'nerd' culture (Lord of the Rings, Game of Thrones, Glee, Harry Potter, The Walking Dead) has saturated the mainstream of popular culture. These days, people go to movies like The Avengers to gain credibility regarding source material they've never experienced, rather than leaving such feature films to the niche of 'nerds' and 'geeks' who previously enjoyed them. The near future of the comic book movie seems to hold a clear path to success. But it's worth reflecting on the long succession of hits and misses that paved the way for today's crowd-pleasing blockbusters. Hottest hero movie of 2013! 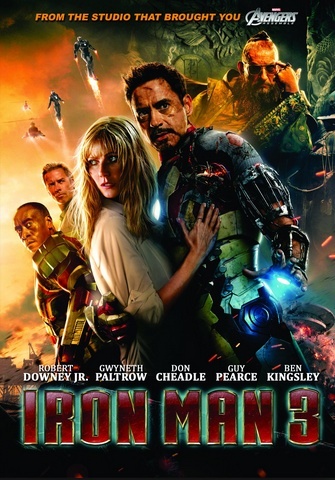 Rumored released date for Iron Man 3 on DVD and Blu-Ray is August 27th, 2013. Before the blockbuster comic book movie adaptation, you had the serial. We're talking the 1930s and 40s here, not that long after the dawn of the "talkies". These are precisely the sort of short film that we all know was paired at one time with the feature during the years of early cinema. 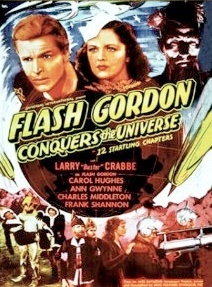 Flash Gordon, premiering in serial form in 1936, was in fact one of the first big serials. This one lasted thirteen episodes, and featured a space-travelling hero who came into conflict with foes such as the Shark Men and Ming the Merciless. This serial was drawn from a contemporaneous comic strip. 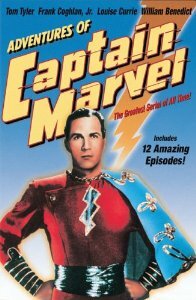 Another early serial is the Adventures of Captain Marvel. This one was adapted from an actual comic book, in 1943. So, we could envision this as the inaugural moment of the comic book movie tradition! 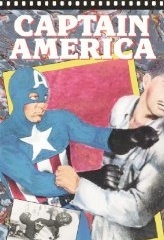 Captain America, Batman, and Superman were among the other comic books that received serial treatment in the 1940s. 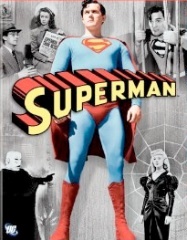 The first full-length Superman movie was release in 1951, Superman and the Mole Men. The purpose was in part to set up a television series, and thus turned out to be successful. Despite the title, in this one we find Superman defending the Mole Men from humanity (specifically rural, backwoods US humanity) rather than vice-versa. Batman received its first feature film in 1966, with a film starring Adam West (Batman) and Burt Ward (Robin). You've probably guessed from seeing the stars' names that this was related to the notorious television series; indeed, the film was based on that series. To merit silver screen significance, the dynamic duo go up against a team of villains including Catwoman, the Penguin, the Riddler, and the Joker. And yes, Batman gets a chance to use his famous shark repellant! Aside from these big names, many of the mid-century comic book films are derived from 'cult' material. For example, there are a pair of Fritz the Cat films in 1972 and 1974. Fritz the Cat was based on the work of R. Crumb, and brought to life by Ralph Bakshi. It's a thoroughly counter-cultural animated film, and received an X rating that increased its infamous reputation. Also in 1972, the EC horror series Tales from the Crypt was adapted. As those familiar with the series can easily recognize, this was a "collection" of shorter films packaged under the Tales of the Crypt title, and presented by the cackling, skeletal Crypt Keeper. In 1973, the film Vault of Horror served as a sequel to Tales from the Crypt. Between 1978 and 1987, Christopher Reeve starred in a series of four Superman films. The series begins with the arrival of Kal-El on Earth after the destruction of his home planet, Krypton, along with his childhood and gradual coming into ownership of his powers. It's hard not to see the Christopher Reeve franchise as the moment when Hollywood gets the comic book movie formula right. The director of the first and second films was Richard Donner, who directed The Omen. Reeve is notable for being a sort of all-American hero type of actor, but without being offputtingly handsome or steely. Perhaps the combination of Donner's Omen dark side, with the more humanizing aspects of Reeve's bearing, helped to achieve an intangible balance of darkness and humanity after which directors and producers have sought to replicate ever since. Supergirl has never been a huge superhero. But as with the more recent comic book film franchises, in the case of the Christopher Reeve Superman series, it made sense to capitalize on success by pursuing spinoff projects. Supergirl turns out to be another survivor of Krypton's destruction. It's strange now to think that Marvel film adaptations at one time were rare, and that Howard the Duck was the first big-screen Marvel film in decades! Released in 1986, this quirky movie is a story about the character Howard the Duck. Howard is no mere giant, talking duck but an extraterrestrial. He comes to Earth accidentally, but manages to save it from a powerful villain. The Batman movies, beginning in 1989, mirrors the success of the late-70s, early-80s Superman series. The lessons were well learned, as the first installment outstripped Superman on all levels. Tim Burton directed the film, bringing his characteristic stylized moodiness to a hero that was well-suited to such a treatment. The splashes of color of the Joker’s hair and makeup are the counterpoint to Batman's somberness. Michael Keaton plays an appropriately straight-faced Batman. And did I mention that Jack Nicholson inhabits the role of the Joker! 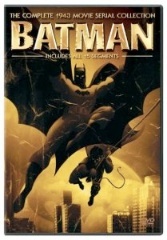 Like the Superman franchise, this iteration of Batman ran through four films, ending in 1997. Val Kilmer and George Clooney both took turns beneath the cowl. It's worth mentioning this film on its own, in order to show what comics films have had to overcome regarding the haphazard use of their brand (admittedly, this seems mainly to have been a problem for Marvel). The film is a Red Skull vs Captain America narrative, but it's just a bit too gritty and low-budget for it to be good for the Marvel reputation. For example, Captain America decapitates a woman with his shield in this version: not good! On the other end of the spectrum from Captain America, The Crow shows that calculated use of darkness and moodiness, in the vein of Burton's Batman, really constitutes the sweet spot for the comic book movie. The 1994 film starred Brandon Lee, who was tragically killed during the filming by a real bullet that somehow made it in with the blanks used for gunfight scenes. The source material for The Crow was an underground comic book of the same title, written by Eric O’Barr and published by the now defunct Caliber. An R film, it didn't have the super-blockbuster potential of the PG-13 Batman, but it was an unequivocal financial and critical success regardless. This was the first film inspired by the independent Image Comics. Perhaps a bit too dark and dreamlike for mass appeal, its still an important landmark in paving the way for indie comic book movies. Spawn was based on the Todd McFarlane comic of the same name. The scattershot condition of the comic books films world was arguably in dire need of some form of intervention by 2000. And Batman, The Crow, and even Spawn demonstrated that there was a thriving audience, one with a solid niche base that had the possibility to expand to mainstream success. The way that Hollywood has managed this intervention thus far has been by means of trilogies of films that then reboot. Initially the most conspicuous of these reboots was Batman, which was rebooted in 2005, less than a decade after the previous run. But this one was much longed for after the goofier titles that followed Burton's film. More shockingly, though, Spider-Man followed a 2002-2007 franchise with a reboot in 2012, just five years after the completion of that blockbuster run. This reboot, called Amazing Spider-Man, saw The Lizard bad guy's first comic book appearance (Amazing Spider-Man #6) leap in value as a result. Clearly, the most demonstrable impetus behind this trilogy/reboot cycle is the profit motive. However, it should be pointed out that there is value in this method, because it allows for discrete units of film sequences that can then be left in the past, rather than scattershot use of characters and teams. This in turn offers to pave the way for coherent "universes", paralleling those found in the comic book publishers themselves. The new Avengers series is a good example of how this can work. This comic book movie puts the Hulk films and the bizarre 1990 Captain America film behind it, but acknowledges the Iron Man franchise and the recent Thor and Captain America films. Thus a universe is being carved out. 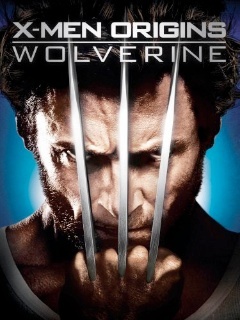 The Avengers world at present operates in parallel to the X-Men world, which is being fleshed out in its own right following the successful X-Men trilogy. And with the stability that franchise has attained, we can certainly imagine and X-Men vs Avengers crossover as a real possibility in the future. One lessons learned from the 1989-1997 Batman films was the power of a quality director. It turns out, people notice the difference! Joel Schumacher (Batman Returns and Batman Forever) is fine and well, but Tim Burton made the initial Batman a major success. The original Spider-Man trilogy, starring Tobey Maguire and Kirsten Dunst, turned out to be incredibly successful. It was directed by Sam Raimi, of Evil Dead and Darkman fame, who managed to infuse just enough of a sinister element into the franchise to make it work for mass audiences and comic fans alike. Capitalizing on the success of Spider-Man, the new Batman franchise of the 2000s tapped Christopher Nolan to help direct a major success. Nolan had previously had success with dark, mind-bending films such as Memento and Insomnia. Christian Bale served as a raspy, calmly brutal Bruce Wayne, bent on avenging the murder of his parents. The first film's villain was the Joker, played by Heath Ledger. The death of Ledger due to drug overdose only intensified the cultish attitude many developed regarding the franchise. And when the third film premiered, this mystique had reached an intensity such that those offered negative reviews of the film where threatened with violence (and worse) on online forums. The review aggregator Rotten Tomatoes shut down their comments feature after a torrent of hate speech against the first reviewer to negatively evaluate the film. As RT editor in chief Matt Atchity reminded readers, "There are plenty of other things to get angry about, like war, famine, poverty and crime. But not movie reviews." Another bizarre circumstance surrounding the third Batman film was the Aurora, Colorado massacre, when gunman James Holmes killed 12 people during a midnight screening of the film. After the cultish, fever pitch of the Batman trilogy, a somewhat lighter franchise such as the Avengers is somewhat of a breath of fresh air. Joss Whedon, who established himself with Buffy the Vampire Slayer, might be the ideal sort of director for the 21st century comic book movie. Whedon knows how to supply strong plots and action, but in a way that never takes itself too seriously. The Avengers, featuring Iron Man (Robert Downey, Jr.), the Hulk (Mark Ruffalo), and Hawkeye (Jeremy Renner) among many others, was a huge, huge success, paving the way no doubt for many more blockbuster titles. Of course, there are so many more recent superhero movies (click for full list of all time releases!) that could be mentioned; for example the Alan Moore adaptations, or the massive X-Men and Transformers franchises. As a representative example of what's developing outside of the mainstream, it's worth considering Sin City. An adaptation of Frank Miller's hard-boiled noir graphic novel series, it's dark and violent, but without the excessive seriousness of Batman. This film is a series of interconnected vignettes, directed by Robert Rodriguez. This comic book movie had a successful opening and critical reception in the midst of the mainstream superhero revivable. It's fair to argue that the comics themselves are very cinematic and therefore readily adaptable. Nevertheless, the success of Sin City gives us hope that there’s still room for the indie comic film at present. Indeed, hope too that the thriving interest in comic book movies could lead to more high-quality indie adaptations like this one. We've collected EVERY comic book movie ever made, and presented them in reverse order of release, from most recent to Superman vs the Mole Men in 1951! Cover art and buying links are there so you can complete your collection. Cool! 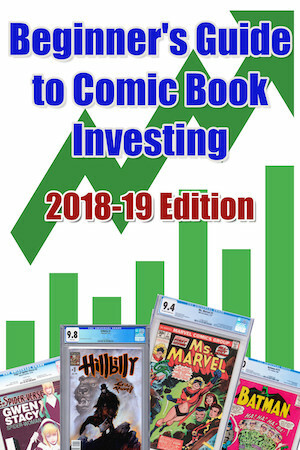 What's coming out in the next few years -- and what would that do to the price of the comic books?